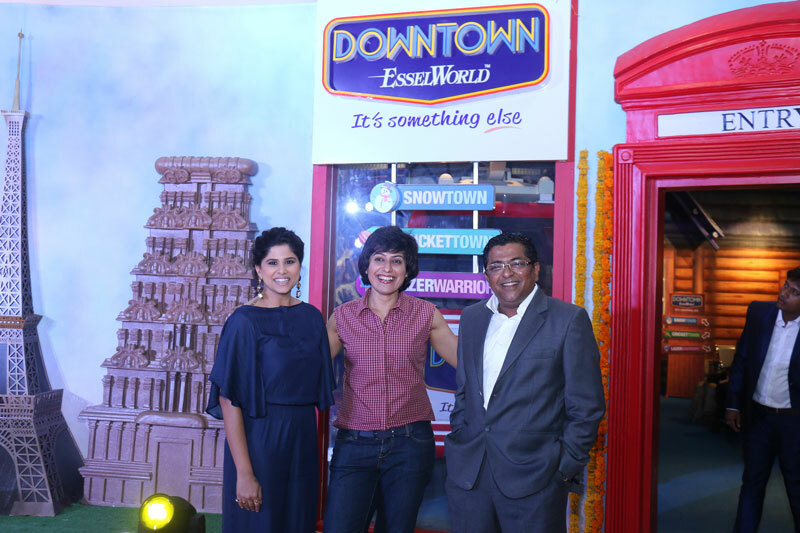 NewZNew (Pune) : EsselWorld, India’s leading entertainment brand proudly launched its first brand extension ‘Downtown EsselWorld’ today at Seasons Mall, Pune. 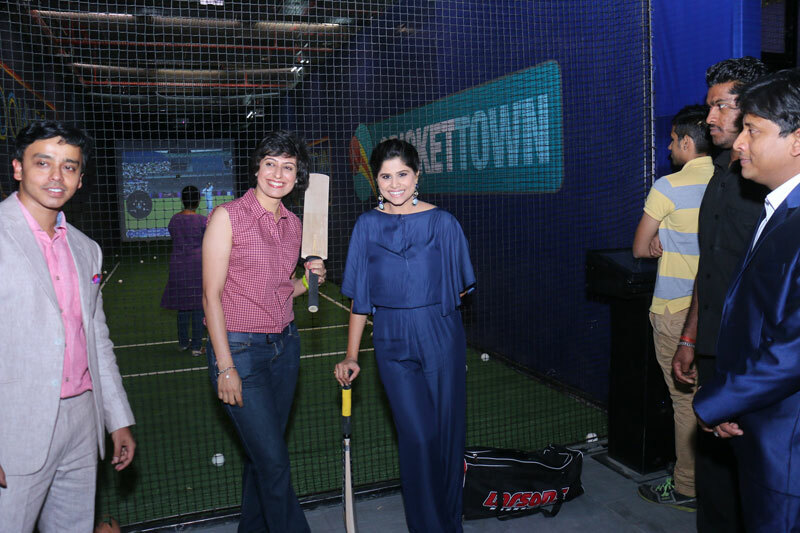 The first-of-its-kind, unique Family Entertainment Centre was formally launched by Anjum Chopra, one of the legends in Indian Women’s Cricket along with popular actress Sai Tamhankar. The event saw a culmination of families and happy children, media and entertainment enthusiasts. Level 1, Seasons Mall, Magarpatta City, Hadapsar, Pune – 411028.Timings: 11 a.m. to 10 p.m.
EsselWorld, a powerful brand is currently entering its first phase of calculated expansion. Strategically located at the Seasons Mall, Pune and spread over 20,000 sq feet of prime land, Downtown EsselWorld will be the ultimate leisure and entertainment destination. This is a unique product mix of integrated gaming and entertainment that aims to cater to all age groups. With the introduction of the brand new Ice and Snow Zone, Cricket Simulator and Laser tag, Downtown EsselWorld is all set to become the “must experience” destination in Pune. Mr. Shirish Deshpande, CEO- PIPPL (EsselWorld, Water Kingdom & Downtown EsselWorld) said, “This is an important day for us – not only because we are launching Downtown EsselWorld, but also because we have open the gates to thrilling yet affordable entertainment to the people of Pune. Downtown EsselWorld is a carefully thought-through family entertainment centre that brings together the best of ‘international experience’ with three new compelling attractions that Pune will experience for the first time.” “It is a further step in realizing our overall vision of delivering diverse and world-class family entertainment experience, and redefine leisure across the region. I urge all of you to leave your stress behind and enjoy this place wholeheartedly”, he added. Sai Tamhankar said, EsselWorld is one of the biggest names in entertainment and has a long history of great quality. EsselWorld has enthralled us in the last 25 years as our very own homegrown yet world-class amusement park. They have set a benchmark for entertainment among Indian masses and continue to provide all-round and full-fledged entertainment till date. Stemming from this success story is the brand new ‘Downtown EsselWorld’ that is everything that leisure-seekers in Pune need. I am extremely proud to be part of the launch and I will vouch for what it has to offer in terms of entertainment”. “Cricket is amongst one of the most popular sports not just in India but across the world. It’s a great honour to launch this game by Downtown EsselWorld. The graphics are incredible and I love the fact that guests will get to enjoy real batting experience. I’m sure lots of people will be hitting their own sixes and taking the prized wicket of Virtual Bowlers with this game. The game is packed with a super immersive game play, stunning graphics and instant 3-D replays and sound effects making the game play experience as close to the real game on-ground as possible”, said Anjum Chopra, former captain of Indian Women’s Cricket team. through a series of bespoke and beautifully designed experiences including adventures, quests and thrillers. It is destined to deliver an unparalleled entertainment and hospitality experience clubbed with world class service at a reasonable and affordable price. Downtown EsselWorld aims to launch their second and third centers at Amritsar and Chennai by end of 2015 and early 2016 respectively. Key Highlights of Downtown EsselWorld: Snow town is a themed Ice and Snow zone spread over 13,000 sq. ft of area. The interiors of Snow town are developed on the concept of “Cool destinations of the World”. Snow town has a capacity of 120 guests for a session of 45 minutes at a very reasonable cost Cricket town has two cricketing lanes with exciting cricket entertainment system spread over 4,500 sq. ft of area where guests can enjoy real batting experience against international ‘Virtual Bowlers’. The advanced technology has true 360° shot tracking with Instant 3D replays and sound-effects. Each cricket game will be of 15 minutes session where each individual can play upto 6-7 overs Lazer Warriors is actions packed game where players will be wearing electronic vests and ‘tag’ each other with laser phasers (guns) to score points. Laser Warriors have a capacity of 12 players for 10 minutes session. Previous articleComedy Central celebrates the 40th anniversary of SNL! Instead of uploading trailer, Sony Pictures upload full film!